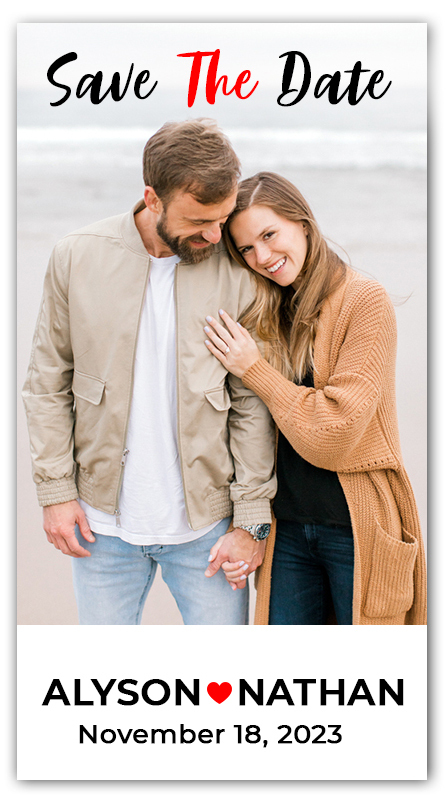 Save the Date Full Color Square Corner Magnets– Got engaged? Or planning to wed within 6 months? Heartiest congratulations! You can choose to announce your big day with a bang using custom save the date magnet. Undoubtedly, save the date magnets are trendy, hot, and can be sent to family, friends, and everyone who love and care for you! Approach us with wedding details along with high resolution pictures and our in-house designers can help you to customize save the date magnets unique and impressive.